We now proudly offer high quality German Liqui-Moly Oils and additives. Liqui-Moly is the OEM oil of choice for many European luxury automobiles including BMW and is a popular choice for serious car racers around the world. Liqui-Moly now offers a complete line of motorcycle oils and we are one of the first in the US to stock it. We offer mineral and synthetic engine oil as well as synthetic gear oil for the transmission and final drive on all BMW models. 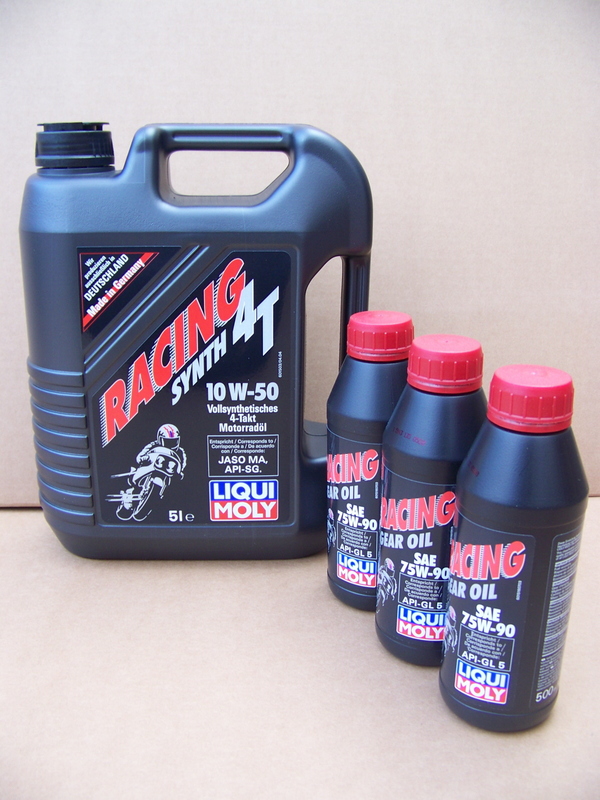 We will also be stocking Liqui-Moly's engine and gear additives and brake fluid. Engine oil change kits, complete engine/trans/final oil change kits, and super maintenance kits with everything needed to perform a 12/24K mile service including all oils are available. Super 12/24K Mile Maintenance Kits With Oil! New Lower PriceR850, R1100 (Ex R1100S) & R1150 Kits Now with 2 inner valve cover gaskets!